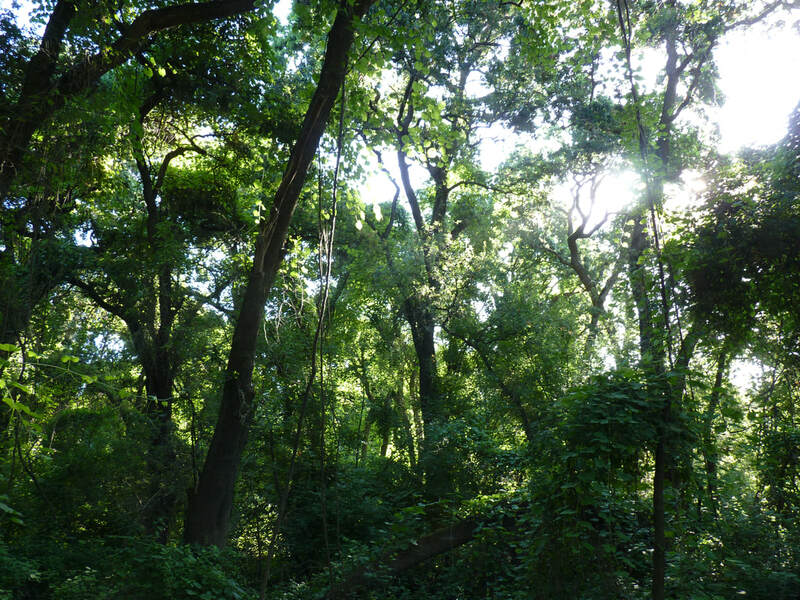 Mature riparian forest in the Cosumnes River Preserve, near Galt, California. Publication of the Central Valley Joint Venture conservation objectives. Pulling off a successful Riparian Summit, including a diverse array of scientists, practitioners, artists, and policy makers. I'm particularly proud of the workshop on multiple benefits I organized with colleagues at Point Blue and The Nature Conservancy. Another great season of field work complete at the Cosumnes River Preserve, including some new soil and vegetation sampling for carbon stocks as part of a new effort to examine synergies across bird, soil, and vegetation metrics - presented as a poster at the Riparian Summit. Organizing a workshop with experts in groundwater research and management, and getting some great input on how Central Valley bird habitat (wetlands, flooded ag, riparian floodplains) can also contribute to groundwater recharge. Having a paper about the long-term response of birds to riparian restoration on Putah Creek accepted for publication (anticipated for early 2018), and finally submitting a paper from a huge inter-disciplinary project on urban biodiversity conservation. Making great progress on our global meta-analysis of riparian carbon sequestration. I am so thankful for the many colleagues and partners I worked with this year (and in most cases, for many years! ), without whom none of this would have been possible. September 2017: Riparian Summit less than 1 month away! The Riparian Summit is coming up soon: October 17-19 at UC Davis. As a member of the steering committee over the last 2 years, I'm enjoying seeing all of our planning coming together. The Summit promises to be ​an engaging 3 days focused on science, policy, community engagement, and strategies to increase the pace and scale of riparian restoration - with multiple benefits for people and nature. It will feature keynote & plenary speakers from abroad and closer to home - including Jody Hilty of the Yellowstone to Yukon Conservation Initiative, Ellie Cohen of Point Blue Conservation Science, and California Assembly member Cristina Garcia. Also planned are several interactive workshops, field trips, and some interesting art & science components. Register now! At long last, an enormous collaborative conservation research effort has come to fruition with today's publication of a special issue of San Francisco Estuary and Watershed Science. The issue is made up of 8 articles authored by Central Valley Joint Venture partners that establish conservation objectives for California's Central Valley. 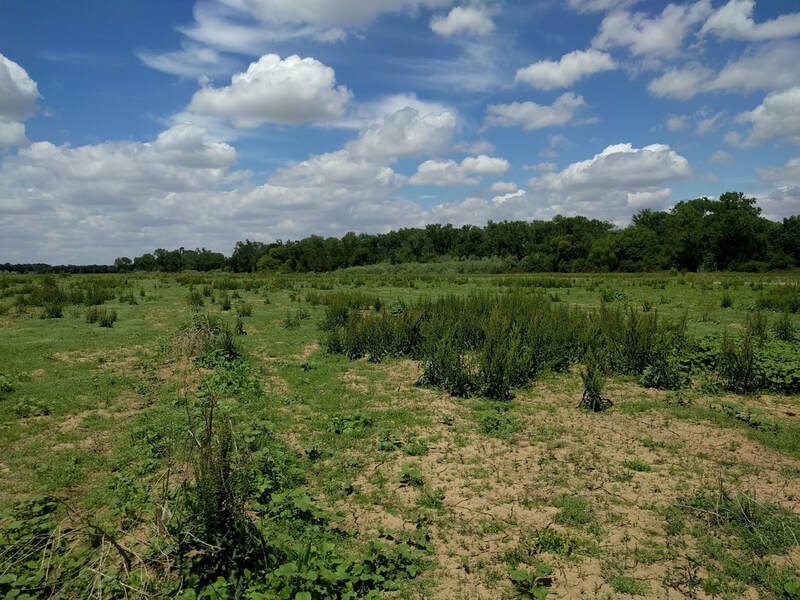 Efforts to achieve these objectives through habitat restoration and enhancement will improve ecosystem functions throughout the Central Valley, in turn providing habitat for wildlife and benefits to people in surrounding communities. I am proud to have contributed to 6 of these articles, as lead author for 3 and co-author for another 3, and I am thrilled to see these finally published! This month I was thrilled to get to participate in the International Union for the Conservation of Nature (IUCN) World Conservation Congress in Honolulu, Hawaii! The Congress's theme "Planet at the Crossroads" emphasized the urgency felt by the >9,000 participants from >190 countries in responding to climate change and collectively choosing a path that will benefit the ecosystems that underpin our economies, well-being, and survival. I was inspired by the sheer number of organizations, initiatives, and people represented at the congress, all of whom are working to find solutions to many intertwined challenges. Increasingly, conservation efforts are seen as capable of simultaneously contributing to meeting UN Sustainable Development Goals, the Aichi Biodiversity Targets, and the landmark Paris Agreement to address climate change, among others. I attended many sessions addressing topics that included championing nature-based solutions, such as recognizing the power of parks to improve human health and the power of carbon markets to drive coastal ecosystem restoration and improve livelihoods. Many of the ideas, strategies, and recurring themes are directly in line with our work at Point Blue Conservation Science, and I am excited about the opportunity to more directly link our efforts to international goals and draw on the resources, ideas, and expertise of a much larger pool of potential collaborators. I'm happy to announce that I have become an Associate Editor for The Condor: Ornithological Applications. I'm looking forward to getting to peek behind the curtain and better understand the editorial process, and will do my best to shepherd papers through the system quickly! I'm getting excited for the upcoming IUCN World Conservation Congress in Honolulu! Opening ceremonies are on Thursday, September 1. Follow me @KristenDybala and #IUCN2016 for updates! This month, I was honored to be invited to speak at this year's Watershed Week training for local teachers involved in the STRAW program! 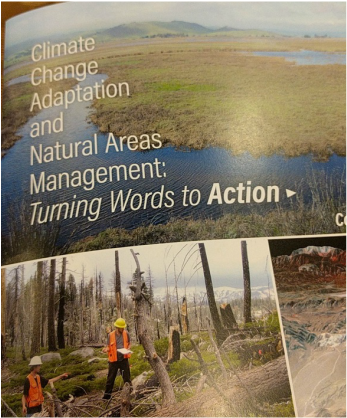 It was fun to meet some of the many educators who are dedicated to habitat restoration with their students, and to share with them some of the early results of our global meta-analysis of carbon sequestration rates in riparian zones. Spoiler alert: There is a lot of carbon in those trees! Today I'm also celebrating the overhaul of this website! I'm hoping to regularly post news and updates about my adventures in conservation research, mostly to remind myself to stop and reflect every once in a while. I was never much of a journal-keeper, but here's to a new beginning!